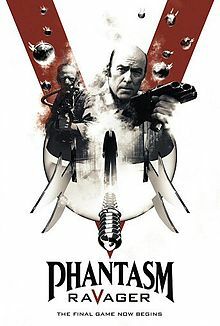 In this week’s episode 478 of the Dread Media podcast, I take a look at Phantasm: Ravager (2016), the recent fifth film in the popular horror franchise. It’s a fun film, if not perfect, and I suspect most fans will enjoy it. Check out the trailer on You Tube and look for the movie for rent on various streaming sites. 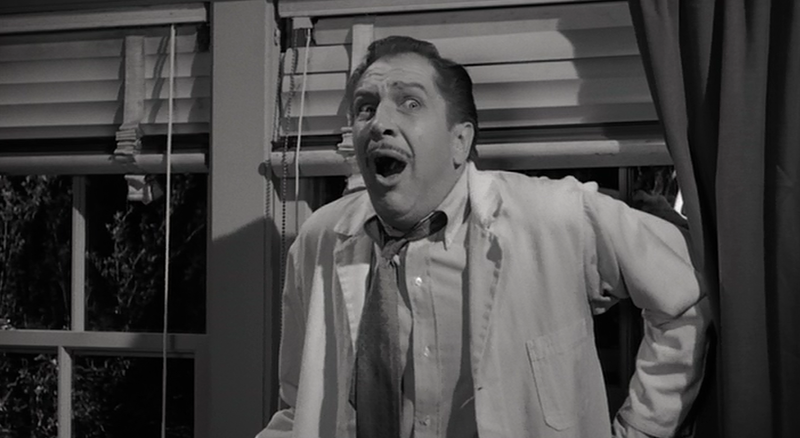 Plot: Dr. Chapin discovers that a creature, which he dubs “The Tingler,” lives inside all of us. During moments of extreme fear, it thrives on the fear. However, when we scream, its’ presence is subsided. However, what would happen if we couldn’t scream? That’s what Chapin wants to find out when he meets a woman who cannot speak or hear. Unfortunately, when his theory is proven real, the Tingler is let loose, resulting in a classic sequence in a movie theater where everyone is encouraged to scream for their lives. Personal Thoughts: The Tingler was made during the prime of William Castle’s career, following on the success of House of Haunted Hill (1959), also starring Vincent Price, and preceding 13 Ghosts (1960). 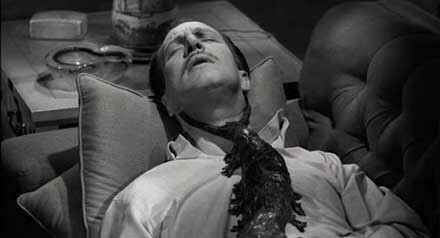 William Castle’s opening is similar to that of Frankenstein (1931), a warning of the fear to follow. It is classic Castle and Price, cheesy with unintentional humor scattered throughout. From the LSD trip Price undergoes to the ridiculously moving Tingler, it is almost impossible not to have fun with this one. 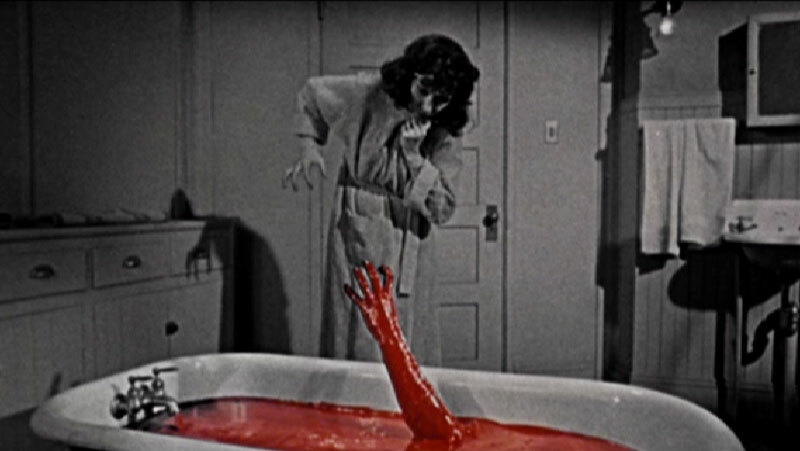 While filmed in black and white, the bathroom sequence during the scaring of Martha features red blood in the sink and bathtub. 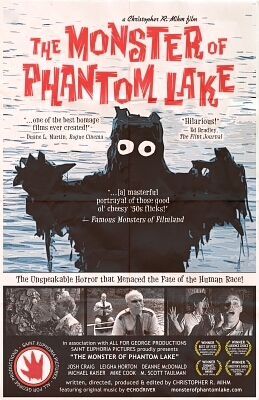 I remember seeing this when I was young on the Creature Feature. My Dad had gone to bed and when I told him about it the next morning, he didn’t believe me, sure I had fallen asleep. When it was eventually replayed, my Dad stayed awake this time and I was vindicated. Dad was amazed at the sequence. This was the first film to feature an LSD trip. Pamela Lincoln (Anatomy of a Psycho) and Darryl Hickman (Many Loves of Dobie Gillis) married shortly after the release of the film. “The Tingler” is modeled after the real-life velvet worm. The movie theater clips are from a real film, Tol’able David (1921). Available on DVD for less than $6 on Amazon. Plot: A master has spent years abusing his slave/apprentice until the young man can’t take it anymore. After killing the old man, he becomes overwrought with guilt. But is that the beating of the old man’s heart he hears in the distance…getting louder…and louder? Personal Thoughts: One of the wonderful things about Turner Classic Movies is that they will play forgotten and seldom seen hidden gems from the past. This includes short subjects from musicals to cartoons. 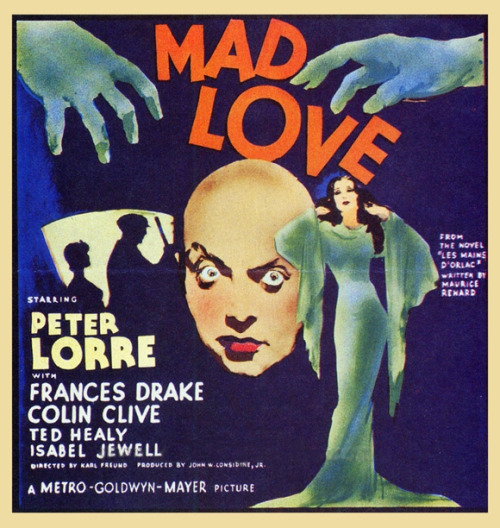 It was twelve years ago, in 2004, that I recorded and first watched Mad Love (1935). When I sat down to watch it, I was pleasantly surprised to find that after the movie, TCM played this short. 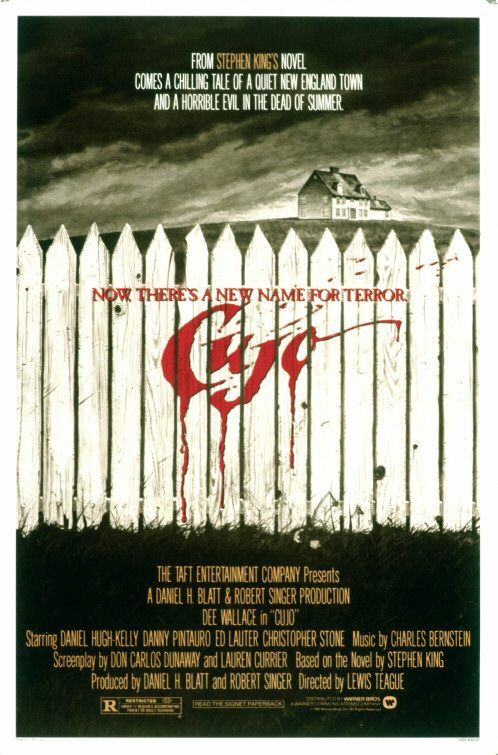 It is a simple but entertaining retelling of the classic Poe tale. 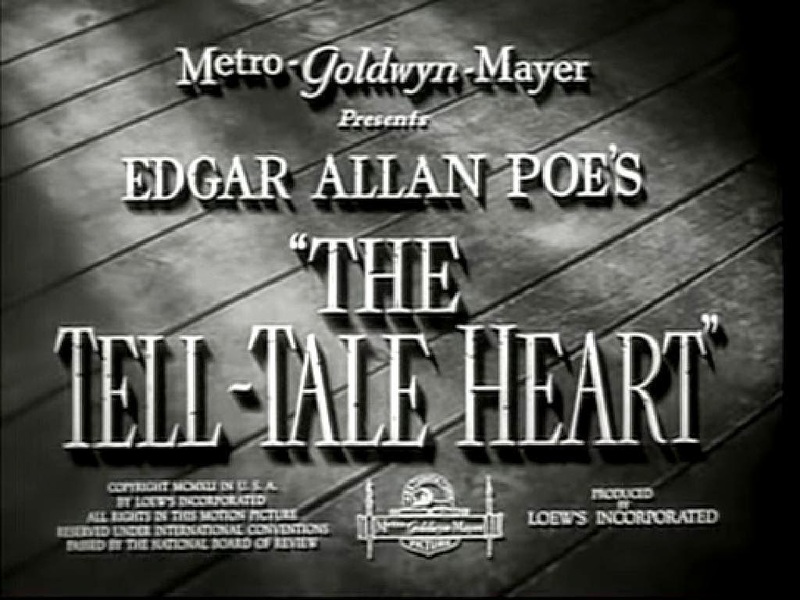 Filmed BY MGM, it takes a few liberties with the story, as most adaptations of Poe’s work often do. But it is incredibly well-made, with lighting and camera work that is supposedly heavily influenced by Citizen Kane, another little film released the same year. Schildkraut and Bohnen are also well-cast and help elevate this beyond a standard short subject, not surprising considering it comes from MGM. Well worth spending twenty minutes of your day to experience this version. This was the feature film debut of director Jules Dassin. He was part of the infamous Hollywood Blacklist in 1948 and would spend the majority of the rest of career in Europe. Joseph Schildkraut is best known to genre fans for his work in the 1961 episode of The Twilight Zone, Deaths-Head Revisited. Watch the complete short on YouTube. For some fun, take a listen to the 1941 Inner Sanctum Mysteries radio broadcast starring Boris Karloff. It’s a different take on the tale but it stars the legendary Karloff and that should be enough. Included as an extra on The Complete Thin Man Collection DVD set. 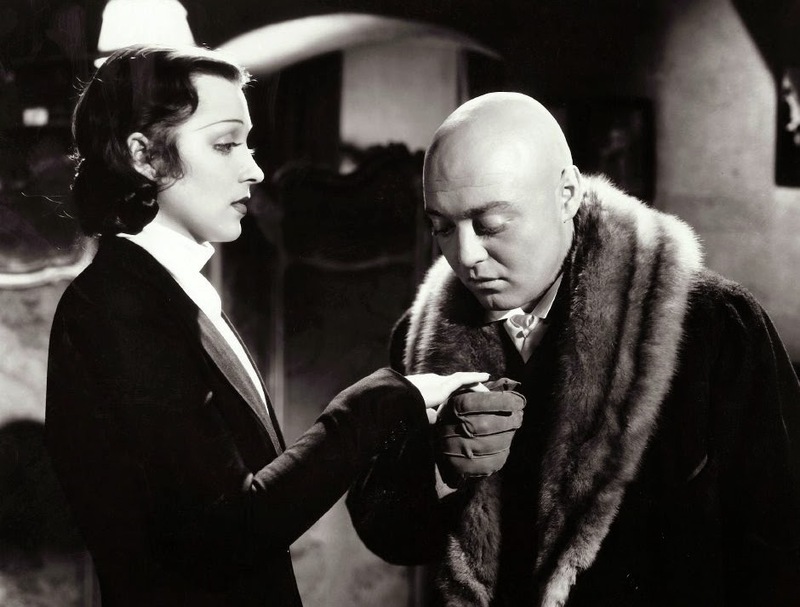 Plot: The odd and eccentric Dr. Gogol has become obsessed with the lovely actress Yvonne D’Orlac, even acquiring a wax figure of her for his private viewing. But when her husband, famous pianist Stephen Orlac, is seriously injured in a train wreck, he sees his chance when she comes to him for help. When he grafts the hands of a murderer on Stephen, Gogol’s plan is in motion to win the heart of Yvonne, one way or another. 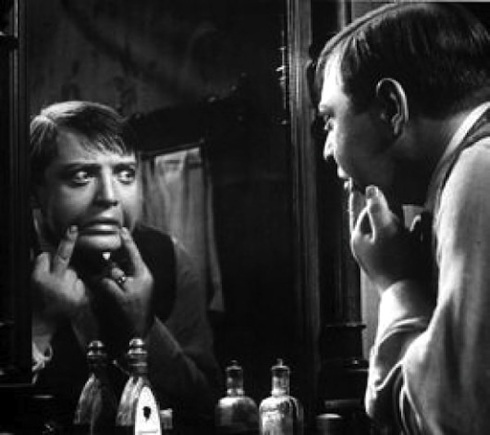 Personal Thoughts: This was Peter Lorre’s first American film and what a debut it was. He had already made a name for himself in Europe with M (1931) and The Man Who Knew Too Much (1934) but now Hollywood recognized his talents as well. Lorre is in fine form here as the maniacal Gogol, leering eerily over the lovely Yvonne. He has conquered science but is unlucky in love. In fact, anytime Lorre graces the screen, his facial expressions entertain on multiple levels. Sadly, Ted Healy’s comedic moments seem very out-of-place while Colin Clive did not look well at all, an obvious sign of his alcoholism. At under 70 minutes, it makes for a fun film with some great cinematography. Well worth checking out. A remake of the 1924 silent film, The Hands of Orlac, starring Conrad Veidt. 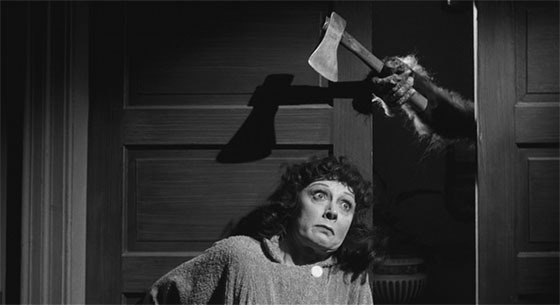 The concept of a killer’s hands committing murder would be visited again by Lorre in The Beast with Five Fingers (1946), a film remade by Michael Caine in The Hand (1981). Ted Healy was partners with The Three Stooges prior to their break-up I 1934 due to Ted’s alcoholism, of which he indirectly died from just two years after this movie in 1937. Colin Clive also died of alcoholism in 1937 as well. Character actor Ian Wolfe (Star Trek, Diary of a Madman) appeared as Stephen’s father while Key Luke (Charlie Chan film series, Kung Fu) had a minor role as Dr. Wong. Part of the Hollywood’s Legends of Horror Collection DVD set. Plot: Hans Beckert is a serial killer who has left the Berlin townspeople in terror after several girls are murdered. His calling card is when he whistles Edvard Grieg’s “In The Hall of the Mountain King,” A mistake that eventually costs him dearly. The local crime bosses are none too happy with the murders as it is hurting their own criminal efforts. However, when a blind street beggar recognizes the tune Hans is whistling, Hans becomes hunted by local beggars and criminals. 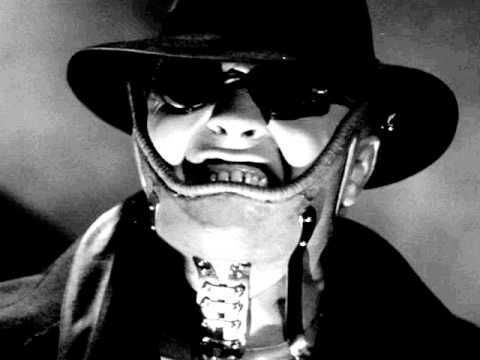 Personal Thoughts: As this was Peter Lorre’s first starring role, it would typecast as a villain. He spoke little English at the time this film was made but he started to speak some by the time he worked with Alfred Hitchcock in The Man Who Knew Too Much (1934). His performance here is absolute brilliant. His facial expressions show a man tortured by his illness, not to mention his nervous actions when he fails to capture a victim. 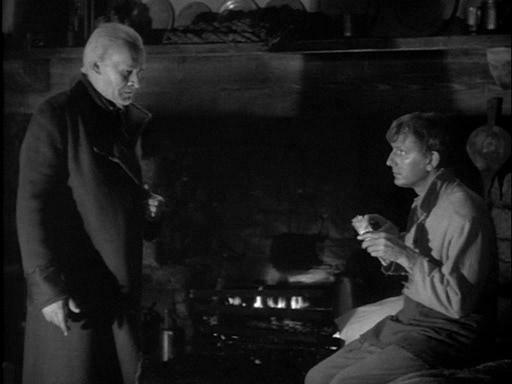 Being Lang’s first sound film, it is used in limited fashion but Lorre’s whistling is a prime example of how effective sound could be in the early days of film when done properly and creatively. 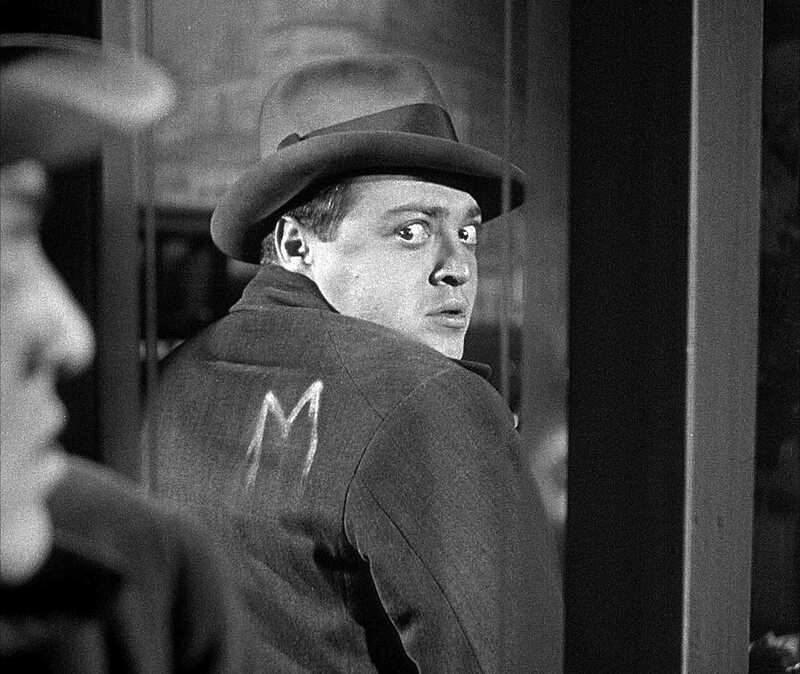 Beautifully filmed and a gripping story, M is a true classic. 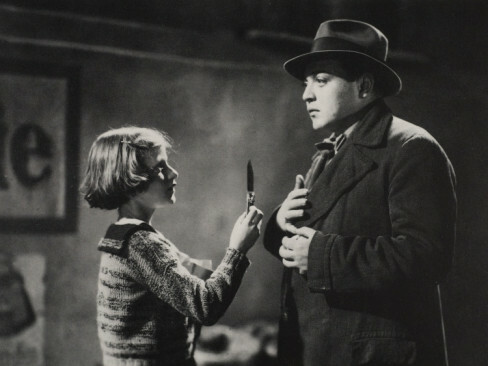 Fritz Lang reportedly cast real criminals for the final climatic scene. The film was banned by Adolph Hitler in 1934 and remained “lost” until 1966. 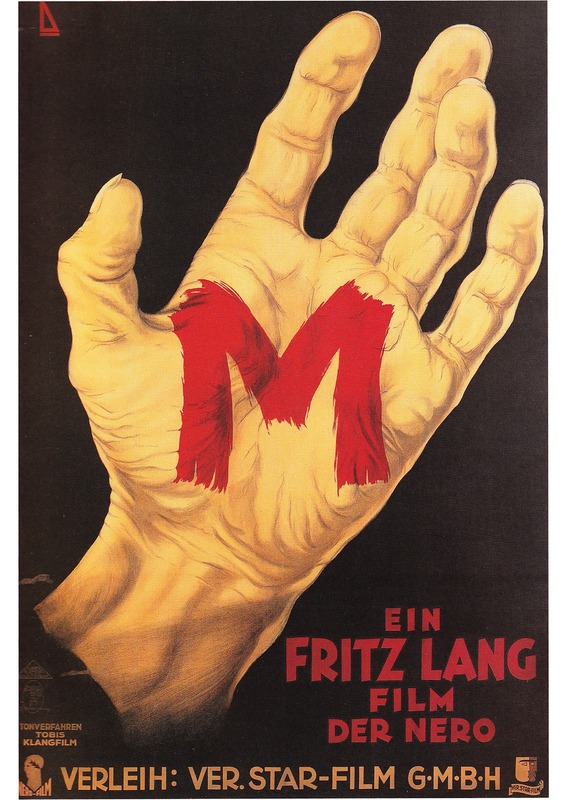 Reportedly based on real-life serial killer Peter Kurten, despite claims to the contrary by Fritz Lang. The segments filmed without sound was originally done to save money but has since become recognized as one of the key elements of the film. 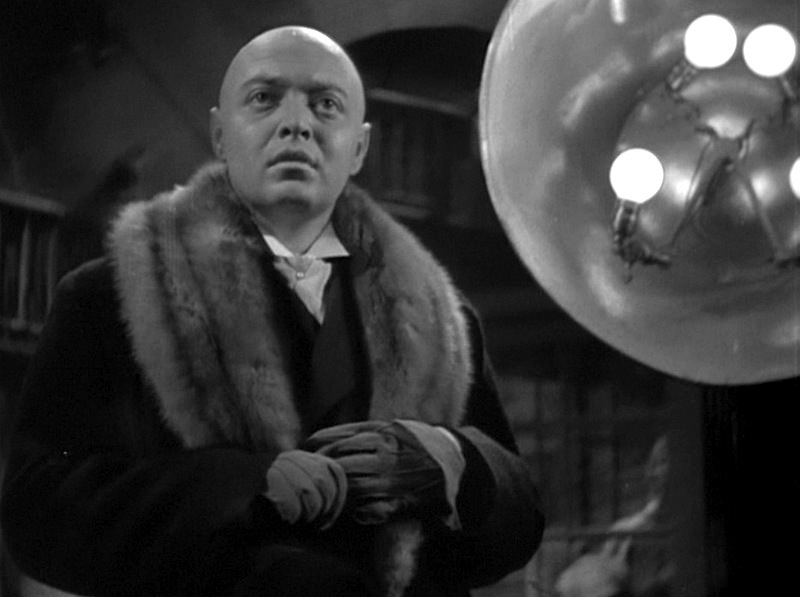 Otto Wernicke would play Inspector Lohmann again in The Testament of Dr. Mabuse (1933). Remade in 1951 starring David Wayne. The Criterion Collection Blu-ray is an absolute must for anyone’s collection. Have you ever heard of the Mihmiverse? I’m sure most of you have but just in case there are some of you out there that remain under a rock, it’s time to unearth yourself and check it out. Since 2006, Christopher R. Mihm has been creating brand new movies in the vein of the classic and cheesy sci-fi and horror flicks we’ve all seen time and time again. Since The Monster of Phantom Lake and right on through to his latest, Weresquito: Nazi Hunter, Christopher remains dedicated to his loyal and ever-growing fan base. From moon zombies to ghosts to giant spiders, he’s keeping all of us monster kids busy and happy. Go to his website, sainteuphoria.com, to get everything you need from DVDs to lobby cards to t-shirts. You’ll be happy you did! And right around the corner, we have a little spin-off realm from the literary mind of award-winning author Stephen D. Sullivan. He’s taken characters from the Mihmiverse and written an exciting story, Canoe Cops vs. The Mummy! It’s now available in print, so check out his website and, once there, I’m sure you’ll find some other surprises. He’s written adaptations of White Zombie and even Manos – The Hands of Fate, which recently won the 2016 Scribe Award for Best Adapted Novel! And, as always, tell them Monster Movie Kid sent ya! This week on the Dread Media podcast, it’s time for some literary horror and I’ve chosen to revisit some early Stephen King. 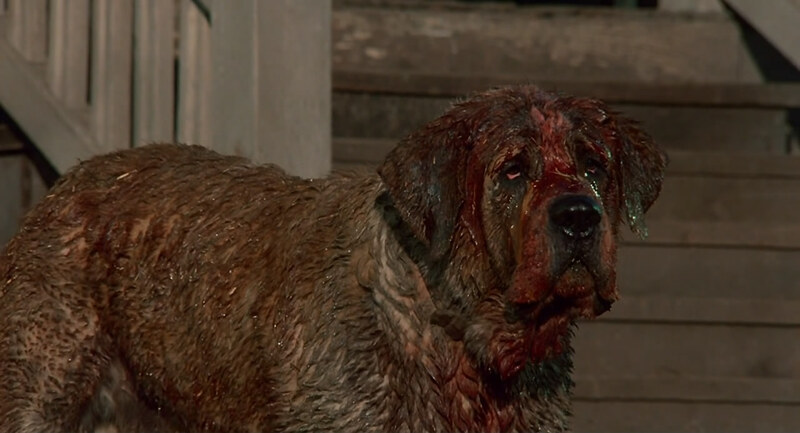 In episode 477, I take a look at Cujo (1983). Watch the trailer on YouTube and, while the Blu-ray appears to be harder to find, you can still find the DVD on Amazon. 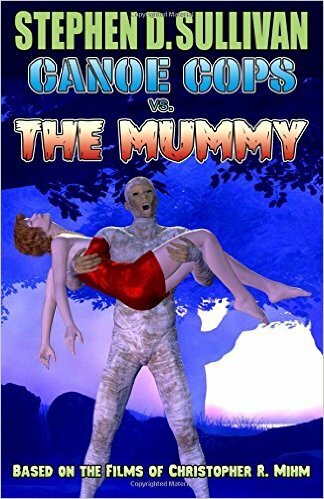 Of course, the original novel is out there as well. This was my first time watching this movie since the 80s and it still holds up, so its definitely worth checking out for yourself.